Your newest clients are recent transplants to the area and looking to buy a home. The family is living out of suitcases in military temporary lodging (a glorified hotel), paying for their pets to be kenneled, with the kids making the daily trek to their new school and attempting to fit in with new friends...all while not knowing where they'll live next. On top of that, they inform you that they have about a week to find just the right place. No pressure, right? These are not your typical home buyers. You probably realize that buying a home as a military family is a completely different experience from that of civilian home buyers, but you may not be quite sure how to help. Military families typically experience a shorter window for home shopping, may be looking at homes long distance before arriving, or even have one spouse signing all the paperwork while the other is deployed or traveling. All of these unique characteristics can make for some challenges, but it also means that military families are usually motivated buyers. A knowledgeable agent can make the difference for a military member or veteran buying a home. MilitaryByOwner is your go-to resource for real estate and military family relocation topics! Better understand the nuances of working with military families looking to buy a home. Learn military lingo as it relates to finances, home shopping, and moving. Get an understanding of the VA Home Loan and appraisal process. Learn why earning the Military Relocation Professional Certification could be an advantage for you and your clients. Be the best advocate possible for military and veteran home buyers. 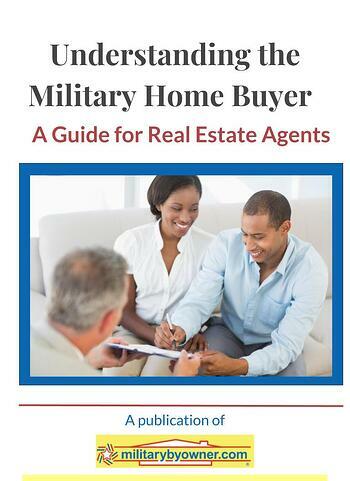 We've created this resource just for real estate professionals, Understanding the Military Home Buyer: A Guide for Real Estate Agents. 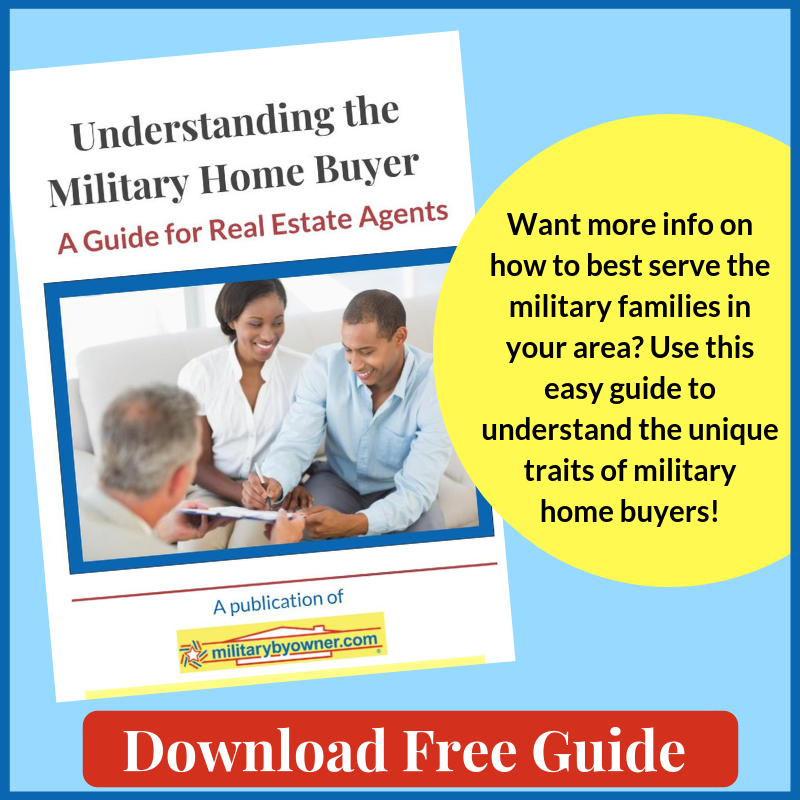 Learn about the unique traits of military home buyers, hear from other agents' experiences, and cut through the fluff to learn what you really need to understand about military home shoppers.